The use of official seals is a practice handed down from old English law, in which individuals and officials from the King on down used a distinctive seal as a means of authenticating official documents. No document, even those signed by the King himself, was considered valid and effective without the official seal. In fact, so important was the seal that an official custodian of the seal was appointed to safeguard it from loss or improper use. This custom prevails to this day, where by law the Clerk of the Board of Chosen Freeholders has custody of the common seal of the County. 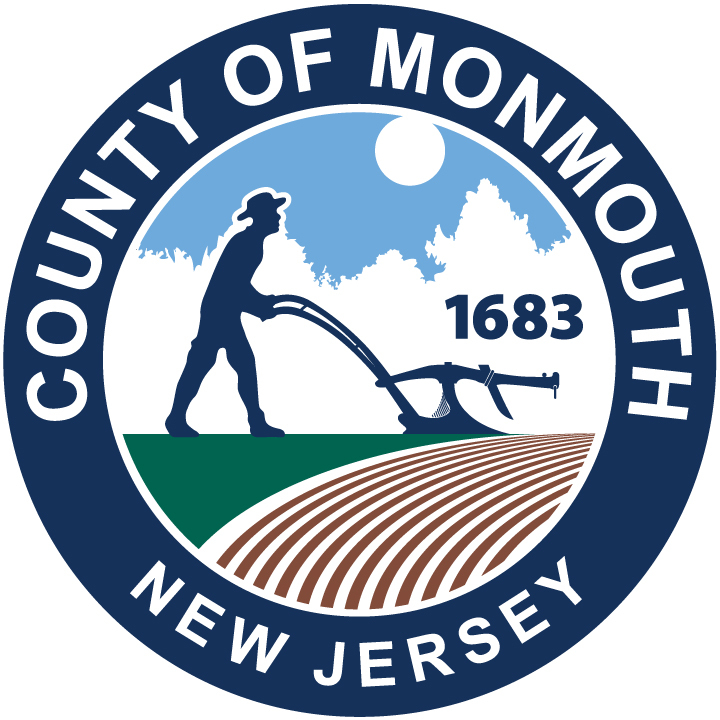 "Ordered By Said Board that Jacob Holms get a Seal made the Sise to be the Bigness of half a Dollar & The Device to be the Plough and the letters Monmouth on The face.... James R. English Clerk"
The use of the image of a plough on seals was quite common in 18th Century New Jersey. Ploughs can be found on the Surrogate's Seal, the Great Seal of the State of New Jersey and various coins minted in early America. In modern times the seal has been made into a die which is then used to create an impression on a document by crimping the paper.